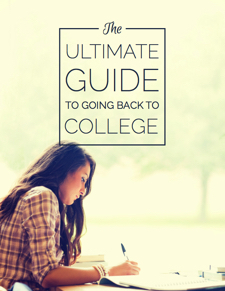 See why going back to school to get your degree is a good idea. Give you a list of the right questions to ask school enrollment advisors. Show you the pros and cons of getting your degree on-campus vs. online. Present your options for paying your way through college.